After a long flight and exhausting drive out of town and into the countryside, I'm beat. 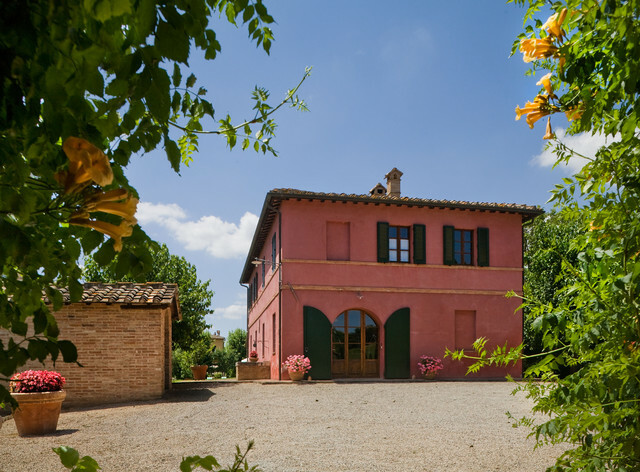 But even the most jet-lagged traveler would perk up at the sight of this rosy-hued villa. don't like how big the bottom shutters are - but like that they are that big to cover the big windows - can they be halved and hinged - folded? shutters - of course - but they look too wide - can they be hinged in half?